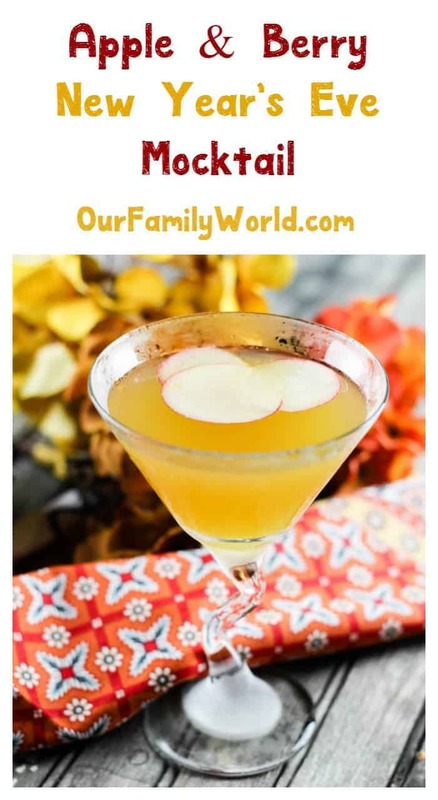 Need a tasty and original non-alcoholic drink idea for your end of the year bash? 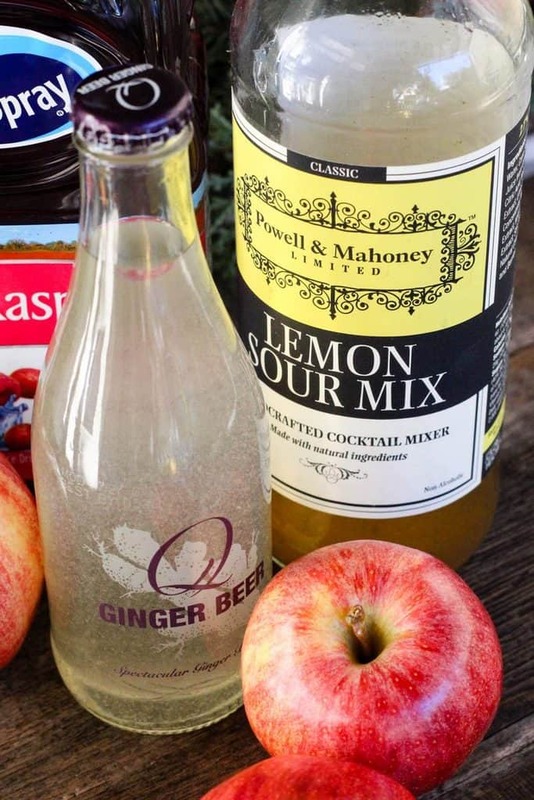 Check out this easy apple & berry New Year’s Eve Mocktail recipe! The flavors are amazing together and the ginger beer gives it just enough of a kick to take it to a whole new level. Let’s face it, most of us are not in college anymore. Once upon a time, I did the New Year’s Eve out all night party thing. I even went to New York City to see the ball drop in Time’s Square one year. Of course, I managed to pick the coldest year to do it. While it was definitely an experience, it’s one of those things you only want to do once unless you can afford to watch from a hotel room or someplace cozy and warm! These days, I prefer a quieter New Year’s Eve. It’s much more fun to hang out with a few friends at home, drink mocktails and wake up on New Year’s Day actually feeling great. This Apple & Berry New Year’s Eve mocktail is perfect for everything from a ginormous holiday bash to a quiet night at home watching movies until the ball drops! Check it out, then print out the recipe card! In a cocktail shaker add non-alcoholic whiskey sour mix, cran-raspberry juice, and ice cubes. Secure the lid on the cocktail shaker and shake until the cows come home for 25-30 seconds. Top off with ginger beer. 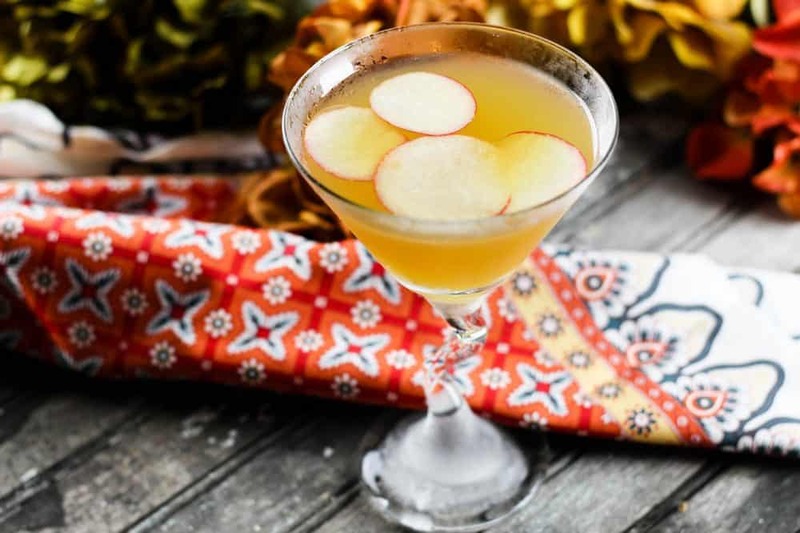 Garnish with thin slices of Honeycrisp apples. Looking for more great virgin drink ideas to go with this apple & berry New Year’s Eve Mocktail recipe? Check out a couple of my favorite non-alcoholic recipes! 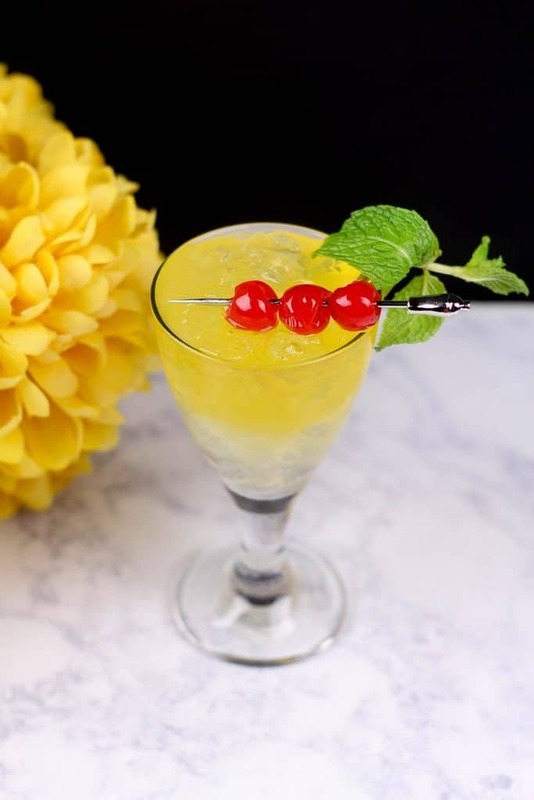 Gold Mint Mocktail Recipe: originally created for a co-ed baby shower, this gold mint mocktail is also perfect for your New Year’s Eve parties! Eggnog Virgin Drink Recipe: if you’re looking for a traditional seasonal drink recipe, you can’t go wrong with eggnog! Our version skips the buzz and loads up on flavor instead. Do you have any favorite New Year’s Eve mocktail recipes? Share them in the comments! I like this mocktail recipe! Would be great for my grandchildren. Thanks! These drinks so yummy and festive! I love seasonal drinks! This looks like the perfect drink for the DD’s at your party! I love apple flavored drinks. They’re one of my favorite flavors. This looks amazing! This looks so amazing! My kids would love this for NYE! Apple and Berry mocktail sounds like a good combination for a non alcoholic beverage. Super easy to turn it into a liquor based recipe. I think I’m liking this combo! I’m definitely planning on having a few drink options on New Year’s Eve! I could go for one of these right now! Since I have never tried ginger beer, this mocktail sounds especially exciting. We have some leftover eggnog from Christmas! All of these recipes seem great but the virgin Eggnog drink really stood out for me. This sounds so good, and perfect if you don’t want to drink liquor based drinks! I love making mocktails for New Year’s Eve. We don’t really drink but I love having something a little fancy for the holidays. I am adding this to my party drink list right now! This looks super yummy, and i always love a drink everyone can enjoy! Are You Packing These Hidden Dangers in Your Child’s Lunchbox? Is A Gro-Clock Sleep Trainer Right For Your Child?